Stress is often a part of the busy holiday season. Commitments to friends, family, and career can fill up your schedule on a typical day. But add to it the burden of holiday shopping and crowds, spending extra money on food and gifts, school functions, holiday vacations, baking and cooking, traveling, dealing with family tension and drama… and the list goes on. Our team at MedCenter TMJ wants you to have a less stressful holiday season because stress is bad for your TMD and your health in general! Here are our suggestions to kick stress to the curb – and yes, they will really work if you take the time to do them. Perhaps you don’t have to do all 10, but do as many as you can! Get enough sleep. Find time to get just 30 more minutes of shuteye. This can make a big difference in how you feel. Instead of watching TV or surfing the web, use that time to turn in earlier. Get exercise every day. This may seem impossible, but give it your best effort. Even just 10 minutes of walking can reduce stress and boost energy levels. Whatever exercise you can fit in is worth it. It can help you sleep better, too, which means #1 will be even easier to accomplish. Eat a healthy diet. Junk foods can make you feel more anxious and stressed. They don’t provide your body with minerals and nutrients it needs to stay calm and focused. Fresh fruits and vegetables, lightly cooked to soften them up, will help you feel in control and will improve your overall health too. Try mindfulness meditation. There are classes, apps, and videos that can show you how to do this. It is an easy and remarkable way to reduce stress. You don’t have to be a meditation expert to reap its benefits. Anyone can do it. Guided imagery. Apps and recordings of guided imagery can take you to a place of deep relaxation and calm. If you don’t have one on hand, sit down in a quiet space and envision yourself in the place that makes you feel the most relaxed. All you need is the power of your imagination and a few minutes of quiet time to do this. Yoga. It’s popular for a reason: it works. There are many different types of yoga, but all can provide a centering experience that improves your physical fitness too. 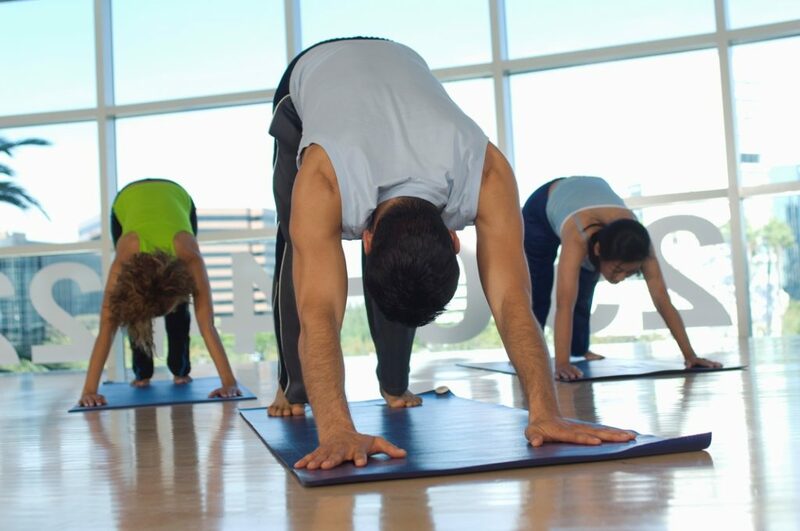 Make yoga your exercise for the day and you’ve accomplished two stress relievers in one. Deep breathing. Perhaps one of the easiest methods for reducing stress is the classic “take a deep breath” plan. Whether you’re frustrated at work, angry at a family member, or stuck in traffic, deep breathing can bring you back to a place of calm. Slow, deep breaths in through the nose and out through the mouth are best. Practice this daily, even when you aren’t stressed, and it can become second nature. Guard your schedule. It’s easy to get sucked into various volunteering efforts or assignments at work, even though your time is limited. Look at your schedule and determine what you can realistically do, and say no to the rest. Taking on too much is one of the fastest ways to become stressed. Don’t wait until the last minute. If you know you need to bake 2 dozen cookies or get the house clean for a get together, plan in advance. Get ingredients ahead of time or start doing small tasks now to get prepared. Waiting until the night before is a surefire way to increase your anxiety level! Don’t ignore pain. If your TMD is flaring up this time of year, you’re not alone. Don’t try to tough it out. Contact MedCenter TMJ to get treatment, which includes stress management techniques. Is stress making your TMJ pain worse? Learn more about this connection – and what you can do about it – by contacting MedCenter TMJ. ← Bumps Under The Jaw Bone – What Causes Them?